Humm's Michelle Mitchell welcomes one and all to the renovated taproom in NE Bend. 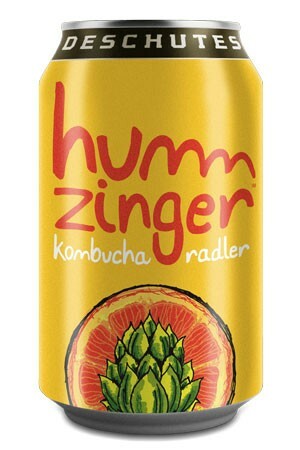 It's hard not to like Humm Kombucha. 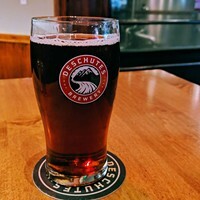 Going to their recently-remodeled taproom on NE 2nd Street in Bend, visitors are greeted with a very airy, wide-open space offering 23 taps, including both their kombucha and special-guest beers and ciders, including the Humm Zinger radler made in collaboration with Deschutes Brewery. The renovation includes a walk-in cooler with bottled goods, as well as a selection of grab-n-go salads and dishes from restaurants around Bend—along with rotating food trucks outside. Families are everywhere, and the vibe is pure keep-it-local Bendian. "That's all by design," says Humm co-founder Michelle Mitchell, who was busy helping around the brewer's Hummfest last weekend. "With the new manufacturing facility that we opened last year, we were able to move the brewing equipment out of our original location and work on the taproom more, making it more of a neighborhood destination." This year's Hummfest marks the fifth anniversary of Humm itself, or at least the Humm name. Mitchell and her founding partner Jamie Danek began selling their kitchen-brewed beverages under the name Kombucha Mama in 2009. The name change "came about because we knew that we wanted this to grow nationally," Mitchell notes. "When we first started, there was a survey that showed only about 3 percent of Americans knew what kombucha was at all. We thought there was a lot of potential for this." Which raises the question: How do you sell a beverage that has kind of a funky name and whose ingredients remain a mystery to a lot of people? "We did product samples—a lot of them," Michelle emphasizes. "We went all over the U.S.—to Targets, Safeways, to Publix supermarkets down in the South. It's really a matter of bringing the product out to people, talking about how it's made and the nutrition it has, and then they realize it tastes good. A lot has changed in the past five years in terms of recognition." It certainly has. The company that began in Mitchell's kitchen is now large enough to produce around 1.5 million 14-ounce bottles per month. 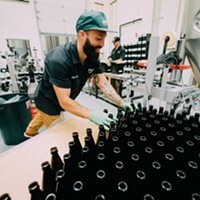 It distributes to all 50 states, has a partnership with a Swedish company to brew and manufacture Humm in Europe, and is set to open an East Coast production facility in Roanoke, Va., in the same industrial park Deschutes Brewery is set to build in. 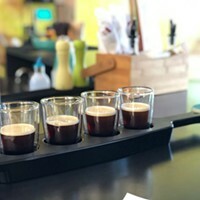 In its beverage-industry niche, Humm Kombucha is one of the giants—but over on 2nd Street, it's still a nice, chill, family-friendly taproom, great for hanging out at for a couple hours on a hot summer's afternoon.